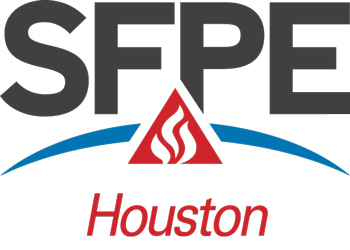 The Houston Chapter of SFPE was officially charted on September 20, 1974 as the 23rd SFPE local chapter. Jim Nolan and Chet Schirmer presented the Charter to the Chapter. The local group that initially organized and provided leadership for our Chapter included Paul Leonhart, Frank Walters, and Leo Brown. Our Chapter meetings are mainly dinner meetings, but occasionally we have mixed in lunch meetings. Over the years, our meetings have been held at the Houston Engineering & Scientific Society Building (HESS), the Houston Fire Museum, St. Arnold's Brewery, and Brady's Landing. Recently, many chapter meetings have been held at the Saltgrass Steakhouse on Shepherd. The Chapter has sponsored and co-sponsored SFPE functions at the NFPA Annual meetings in Houston (1976) and San Antonio (1990). Throughout the years the Chapter has held seminars on High-Rise Fire Safety, Texas State Board of Insurance Supplemental Rules to NFPA 13, Industrial Fire Protection, Fire Protection for Offshore Platforms, and Designing Fire Protection Systems. In 1980, the Houston Chapter held its first seminar on Offshore Fire Protection, in which over 100 professionals attended. The Houston Chapter received the Bronze 2010 Chapter Excellence Award, recognizing the Chapter's contributions in advancing the profession and goals of the Society. The award winners were determined by a five member task group of the Board of Directors of SFPE. Sixteen Chapter Excellence Awards were presented at the Chapter Senate Meeting at the Astor Crown Plaza in New Orleans, LA on Sunday, October 3, 2010.